In recent years, the western European country has seen the increase in the inflow of international students, especially Indian students. 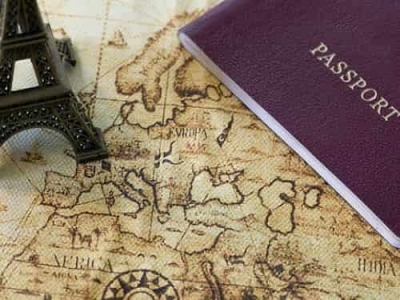 With the Visa requirements for USA, UK and Australia tightening, the popular study abroad destinations for Indian students will change and France wants to strengthen the educational ties with India. 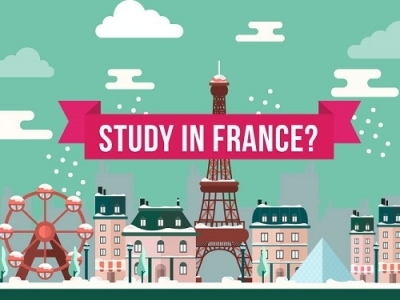 If you are an international student who wants to study in France, France wants you, too. According to Jean-Marc Ayrault, French Foreign Minister, France wants to strengthen the strategic partnership with India and welcoming more and more Indian students in France is a way to do that. Last year, around 4000 Indian students studied in France, and the country wants the number to reach at 10000 upcoming years. 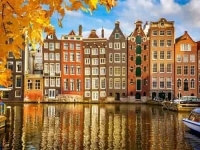 This particularly is a good news for the Indian students who are looking for an affordable study abroad destination, with the courses taught in English. As France wants to attract more Indian students, there is a possibility of relaxation in student Visa and other perks for Indian students. The whole process to Study in France for Indian students might get easier than it is now. Ayrault said this while launching the France Alumni Network at Alliance Francaise in Bengaluru. The Alumni Network is multilingual digital platform to connect, inform and guide the international students studying at Universities in France for higher education. Affordable and Quality Education is what makes France an attractive option for the Indian students. Compared to English Speaking nations like USA, UK and Australia, France has very affordable tuition fees for the English Speaking Courses. Additionally there is no compromise on the quality front, 25 of the Universities in France feature in QS World Universities Ranking. Another benefit of Study in France for Indian students is English taught courses. Students are not required to be proficient in French, and there are equally prestigious English taught courses available in France to choose from. Moreover, some Universities let you Study in France without IELTS. Campus France India is a platform to Study in France for Indian Students. It operates under the Minister of Foreign Affairs and the Minister of Higher Education of France. It has all the University information and guidance a student will need to study in France for the higher education. 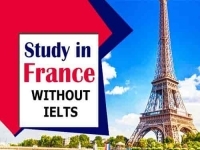 Moreover, to apply at a University in France, one has to go through Campus France Application Process, which will pass the students’ document to the respective University he or she has applied to. There is also an Interview process and French Visa Assistance for study in France for Indian students. As it is case for the many countries, the state funded Universities in France are more affordable and has less tuition fees than the private Universities. There are more than 60 state funded Universities in France to opt for, the most notable of them are Paris Sorbonne University and University of Paris Sud. These are just average numbers for all the Public Universities in France. 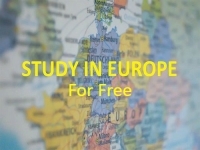 The actual fees will vary with courses and Universities in France. For a Private Institute, the tuition fees to study in France for Indian students will be as high as 3000 to 20000 Euros a year. There will be some requirements to study in France for Indian Students. Here are some of the general requirements of the Universities that you need to fulfill, to enrol in a University.